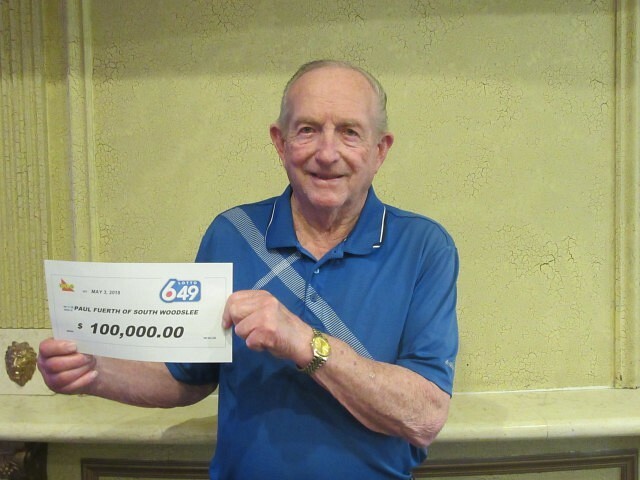 Paul Fuerth of South Woodslee won $100,000 in the February 14, 2018 LOTTO 6/49 draw. The LOTTO 6/49 Super Draw offered 14 Guaranteed Prize Draws of $100,000 in addition to the main jackpot and the Guaranteed $1 Million Prize Draw. The winning ticket was purchased at Fairview Variety on Maidstone Avenue in Essex.